June 8, 2016 – We’re highlighting ninjas, safety, dads, machine upgrades & hot deals in this issue of The Metal Mashup!!! 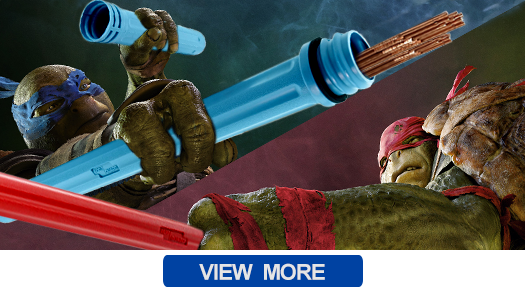 This month’s TIG Rod Promo is Bitchin’ and Totally Tubular. Save ~30% on 1 lb. of our most popular filler metals, when you buy a Canister to store it in. Stock-up * Protect * Save! Whether it’s a respirator, a cheater magnifying lens, flame resistant sleeves, a grinder, or a pair of MIG pliers that’s on your list, we’ve compiled a few of our favorites in honor of National Safety Month & National Dad’s Day!!! NEED INSPIRATION TO DITCH THAT BULKY TORCH? At only $31, Arc-Zone’s JWS Mechanical Upgrade Kit just might inspire you to upgrade and switch out the basic “hard-wired” torch that came with your Miller Diversion. Get the best welds by pairing your machine with the right torch for your application. Don’t let a simple connector issue limit your welds. CK’s MasterTIG 200-AC/DC gives you the freedom to weld outside the box. Super Mario of TSR Fabrication put the machine to the test in the Ultimate Weld Shop. Entry level machines are DC only and limit your options. Spend a lil’ more & get yourself into the Aluminum game… Check out our video to see if you agree… The Right Tools Make All the Difference! To honor our favorite guys (this Father’s Day) doing what they love, we’re collecting photos of Fathers and their families welding together, for this month’s mantra, “Weld Like Dad.” It’s our goal to celebrate the trades and the people who make our industry great!!! 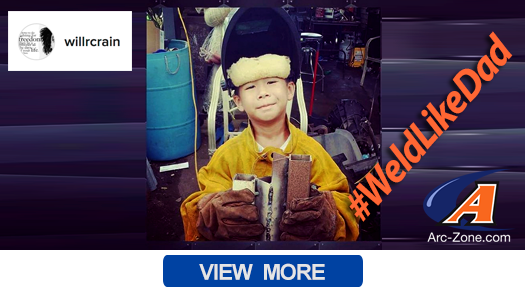 To share your photos and be featured on our social media channels, tag your pics with #ArcZone and #WeldLikeDad. WHY WOULD YOU WANNA KEEP A LOW PROFILE? 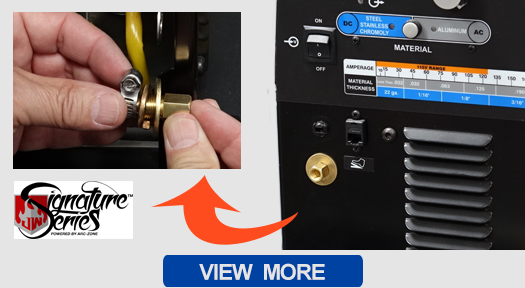 When your TIG torch is fitted with our low-profile stubby parts, welding in tight spots is a breeze. Plus you’ll experience all the benefits of using a gas lens collet body, including efficient shield gas coverage & improved weld quality. 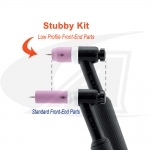 Check-out our blog for more info on the best applications for our Stubby Kits. This entry was posted in Arc-Zone.com, The Metal Mashup, TIG Welding, Welding Industry News, Welding Supplies on June 20, 2016 by Editor.